Joseph Murphy and Sportsfield Othello at Pau 2018. Photo by Tilly Berendt. Calling all eventers in Area I and II — this is your last chance to sign up to ride with Irish Olympian Joseph Murphy! He is teaching a cross country clinic next week on Nov. 5-7 at Boyd Martin’s top facility Windurra USA in Cochranville, Pennsylvania. Joseph excels at helping riders up their game on cross country. He is also king of the helmet cam — see his Burghley and Pau rounds as proof. Click here to read a clinic report for an idea of what you can expect. Then go sign up on Event Clinics. 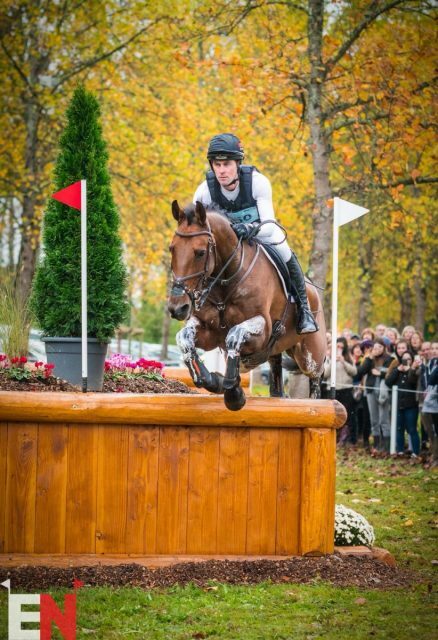 Take a ride around the 2018 Pau cross country course with Joseph Murphy and four-star first-timer Fernhill Frankie.